SSP-LAW is an interdisciplinary association of attorneys, tax advisors and auditors. The association specializes in high-toned yet solution-oriented business-law and tax-law consulting for corporations and entrepreneurs with regard to all kinds of commercial law issues, whether related to transactions, corporate structuring or liability questions. We claim the highest degree of professionalism and quality and are committed to provide individual, creative and solution-oriented counseling to our clients. 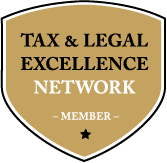 Being an independent association of business oriented and entrepreneurial attorneys, tax advisors and auditors we meet these high requirements by assigning experienced specialist teams to the task.